Home / modcloth / sale / "Style is an expression of individualism mixed with charisma." I've been trying virtually everyday to go out and take my outfit of the day pictures. And it has literally rained on my parade every freaking time. Today wasn't even calling for rain, and there was a torrential downpour. . . about 5 times. It would rain, then the sun would come out, and some more rain, and then sun . . . I think you get the pattern. 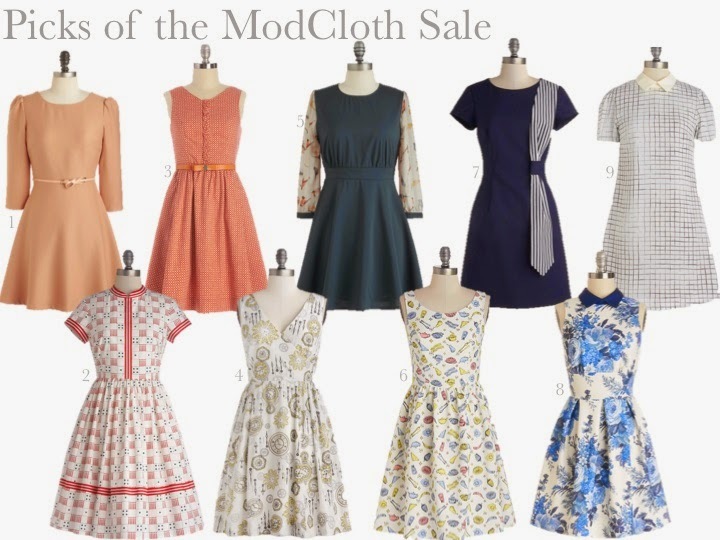 And for the sake of being (slightly) different, I've decided to post my favourites of the ModCloth sale, instead of the Nordstrom sale (which is freaking amazing, but sadly still out of my budget). But if I had to choose one thing from the Nordstrom sale, it would have to be this Kate Spade watch. Absolutely perfect. ModCloth seriously has the cutest dresses (and names!). Has anyone ever ordered from ModCloth? Let me know how it went! I'd love to try a few dresses.